A product that I’ve been obsessing lately is the St. Ives Facial Moisturizer Timeless Skin Collagen Elastin. When I hear St. Ives, the first product that comes to my mind is the Apricot Scrub. I’ve talked about the product countless times here on the blog for it is truly one of the best face scrubs for oily and acne prone skin. One lazy stroll at Watsons I saw this huge tub of face moisturizer available beside the Apricot Scrub and I got interested. Sadly, I didn’t buy one because I was still using a pretty new moisturizer from Celeteque. As soon as I finished using the previous moisturizer, I proceeded to buy and try out the St. Ives Facial Moisturizer Timeless Skin Collagen Elastin. No regrets though for this moisturizer is the bomb! Below is my full review. St. Ives Facial Moisturizer Timeless Skin Collagen Elastin is an anti-aging moisturizer that targets wrinkles. It claims to nourish and hydrates skin; formulated with collagen elastin proteins and safflower seed oil that minimizes the look of fine lines and wrinkles. Also promises to leave the skin looking visibly softer and smoother after use and is dermatologically-tested. The St. Ives Facial Moisturizer Timeless Skin Collagen Elastin is available for only Php 267 and you get around 525ml of product already. 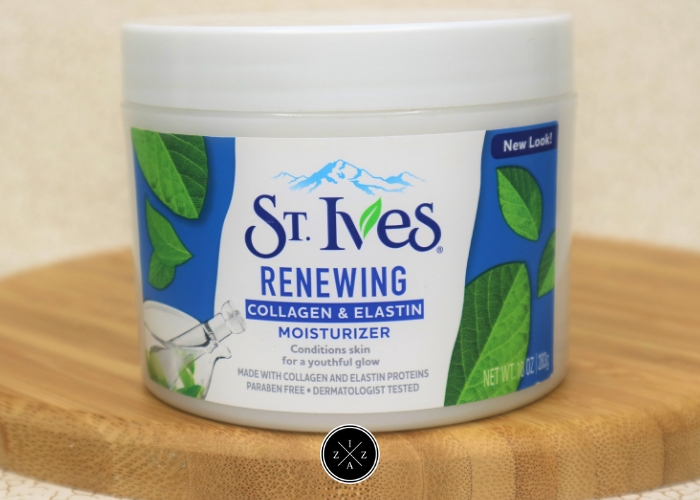 Two of the main ingredients of the St. Ives Facial Moisturizer are collagen and elastin. Both are considered as the skin’s youth protein. Collagen is a fibrous protein found throughout the body and is responsible for skin firmness and suppleness. 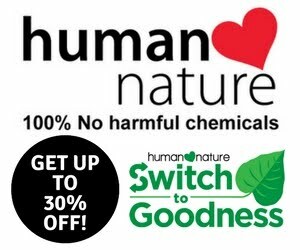 Elastin on the other hand is responsible for giving structure to skin and organs. It allows the skin to resume shape after stretching or contracting. With more collagen and elastin inside us, the appearance of fine lines and wrinkles is better prevented. It also has Safflower Seed Oil which is a cousin of thistle. Safflower helps in deeply moisturizing the skin. Thus, you get a more supple and smoother complexion with frequent use of the St. Ives Facial Moisturizer Timeless Skin Collagen Elastin. The only thing I was hesitant about when I purchased the St. Ives Facial Moisturizer Timeless Skin Collagen Elastin was the size. I felt it was too huge and I might waste the product in the end. But lo’ and behold, almost two months after buying, I am already halfway the big tub because I’ve been using it every single day. I even splatter the product all over my body as a lotion whenever I’m needing that extra moisture. PACKAGING. St. Ives Facial Moisturizer Timeless Skin Collagen Elastin comes in beautiful 10oz plastic tub. All the information you need to know about the product is available from the packaging. UPON APPLICATION. What I first notice upon application of this moisturizer is how good the smell is. It’s so addicting and definitely one of the reason why I love using this moisturizer in the morning. The product comes in a thick, creamy consistency that gets easily dissolved. You don’t need that much to be honest. It spreads well on the skin and I love how my skin drinks the product. HOW I USE IT. Although the instruction says to apply the product day and night, I personally prefer using it in the morning. At night, I end my skincare routine with an aloe vera gel so there’s no need to put a layer of this St. Ives Facial Moisturizer Timeless Skin Collagen Elastin anymore. What I do is scoop enough product from the tub and massage it first between my fingers before spreading all over the skin. EFFECT. Two months into using the product and I can literally see the result already. My skin just looks better especially the texture. It looks brighter, clearer and softer that even my office mates and my younger sibling notice. 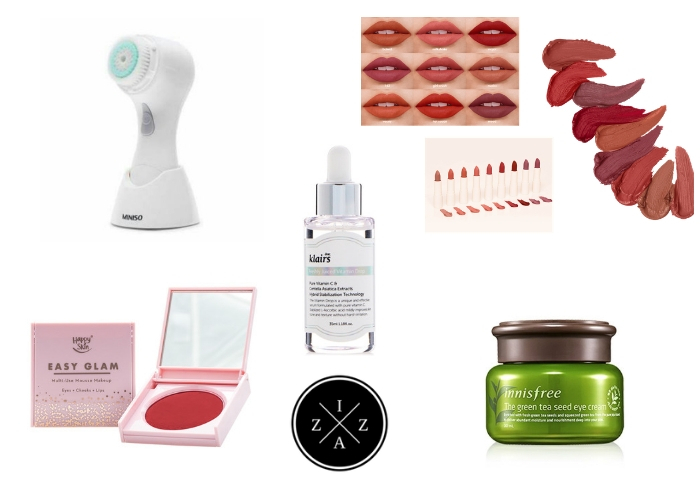 As for the wrinkles, it is something I cannot capture in a photo but with the ingredients from the product I have faith it will help avoid or diminish the appearance slowly but surely. It is working wonders now in making my skin look and feel “chok-chok” and with that I’m very thankful. ● Nothing really. I’ve been enjoying this moisturizer and will definitely buy another. 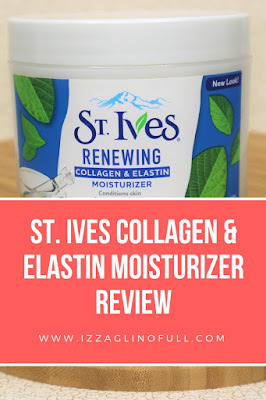 St. Ives Facial Moisturizer Timeless Skin Collagen Elastin does an excellent job in moisturizing my skin. It fulfills everything I need for a moisturizer. I love how quickly it is absorbed by my skin. It smells fantastic and leaves my face feeling supple and moisturized.